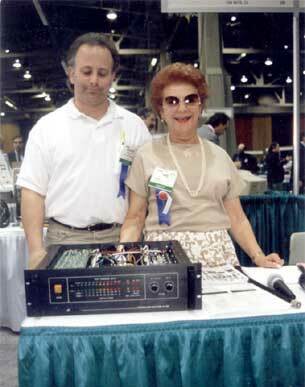 Top Quality Vacuum Tubes "No Crap Allowed"
Our History dates back to the late 1930's. 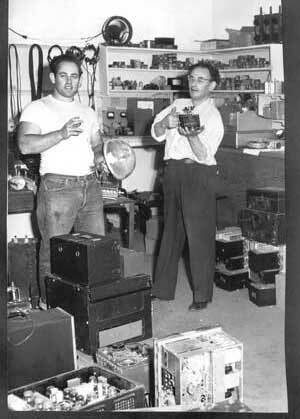 Bob, our founder, became a Ham Radio operator in 1937. Then served as a US Navy Radio and Radar tech during World War II. 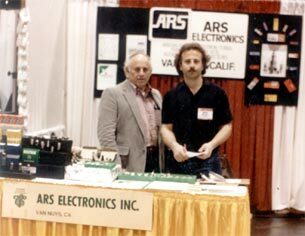 In 1947 Bob started V & H radio then later ARS Electronics. We supplied tubes, electronic parts, repaired Military Radio's, Radar's, Industrial equipment and Audio equipment. We also were authorized Industrial Electron Tube Distributor for G.E, Philips/ECG, Raytheon, Westinghouse, Western Electric, Eimac and many others. We currently sell tubes for Guitar Amplifiers, Audio Amplifiers, AM/FM/TV Transmitters, Military Radios, Commercial and Military Aircraft Navigation Radars. Industrial uses include Microwave Heating, Plastic Heating, Metal Heat Treating, Semiconductor Processing, Instrumentation, Vinyl Sealing, Rubber Processing, Food Processing, Cancer Therapy, Cat Scanners, MRI, X-ray, Hi-Reslloution CRT's, Medical Applications. Today we continue to operate as a Family Owned Business dating back three generations. We focus on Vacuum Tubes, Tube Hardware, Tube Accessories, Electronic components that support the tube industry. Our customers can be Fortune 500 Companies, the Military or the Local Amp Repair Shop. We have a deep expertise of the unique properties of tubes and share this information with our customers. We pride our selves in the partnership and value we share with our customers. Truthful representation of the products we sell. Quality electronic parts for the industries we serve.